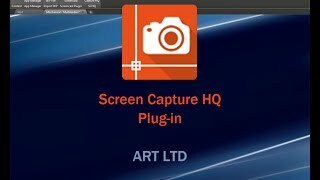 This plug-in provides a simple, dialog box interface for capturing images of AutoCAD® drawings using the ‘Window’ or ‘Display’ option. It optionally allows you to control the background color of the output image as well as the foreground to color, black or grayscale. The text and linework quality is defined by the user in much higher quality than when just capturing the screen. Large areas of drawings can be converted to images without loss of their quality.